ODU Live Imagine PEACEFEST Event Details! November, 13, 2011! Imagine PEACEFEST Spoken Word Event! Where: House of Blues at the Webb Center at ODU. Why: The Imagine PEACEFEST Spoken Word Night is a charity event featuring local artists from Norfolk. The charities we’re supporting this year are One Laptop Per Child, The Rural Economic and Agricultural Development Agency: Cambodia, and The Revolutionary Association of the Women of Afghanistan. While the Event is free to all those who want to come we’ll be collecting donations all night for these charities and sharing a little bit of information for you about who they are and what they do. 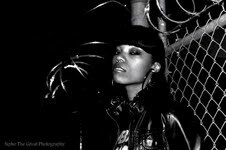 Tonya ” Poetikk Justice” Shell was born in New England (Boston Massachusetts). Tonya has been grounded in the Performing Arts since the age of two. 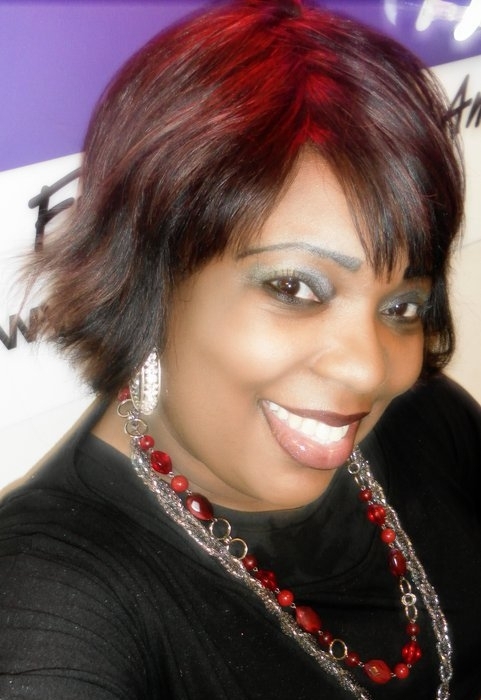 This Host, Classical Harpist, Visual Artist, Poet, Television Host and Author is affectionately known as “Poetikk Justice”, founded Renaissance Woman Productions in 1999. She is a graduate of Norfolk State University with a Bachelor’s Degree in Sociology. Poetikk is the holder of multiple Masters Degrees to include a Masters in Business Administration (MBA). Poetikk is a known Playwright throughout the Hampton Roads area. Some of her most popular and memorable productions include “Men Who Wear Pink Socks”, “Women Who Wear Blue Genes”, ” Oilsheen: the Musical stage play“, ” Damaged Goodes” which previewed at Old Dominion University, Norfolk State University and The Attucks Theater this past summer.Poetikk Justice’s newest project of monologues ” MY Favorite D.R.E.S.S.S“:(DEDICATED women RAISING EXCELLENCE through SACRIFICE and SHARING STORIES), features local Indie Female Artist(s), Poets and Musicians. The Male perspective “My Favorite T.I.E” (Telling HIStory through IRONY and EXPERIENCES): the Monologues will kick off 2012. Stay tuned for other Renaissance Woman Productions upcoming productions ” Her Dollhouse Blues: the Musical Stage Play”, ” Two Wrongs Don’t Make It Wright: the stage play”, ” Family MeAtings: the stage play” and a host of short indie film and documentary projects. You can follow Poetikk Justice on Facebook and poetikkjthehost on Twitter. Cassandra Renee Spruill, aka Cass, is an up and coming Spoken Word artist in the 7-cities area. She has been a feature poet in a variety of events including Comments for the Cure, Last Tuesdays, Bean There Cafe, and Mic Fiend. Cassandra was most recently featured as the alumni representative for the homecoming pre-show slam for the Honors Cafe at Norfolk State University, where she received her BS in Sociology. She currently works as a Case Manager for Portsmouth Public Schools, where she has helped enforce the “Read Aloud to a Child” program in her school. Cassandra has a great love for poetry and is currently working on a cd and book of her work. 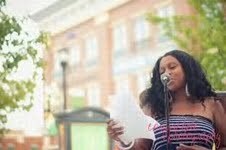 Neisha Purvis aka ‘Beautiful Disaster’ is a New York born, Jersey raised, Virginia residing Poet/Spoken Word artist. Writing since the age of ten, Neisha began performing at local open mics within the last two years, adopting the name ‘Beautiful Disaster’ along the way. With her big, infectious smile and shy demeanor, many are left surprised by the passion, love, pain and aggression of which she speaks during her performances; but all leave with a newfound understanding of just what it means to be a beautiful disaster. Members of the Flowetic Movement. Come out and support Imagine PEACEFEST and the great charities we’re supporting! If you guys like what we’re doing then tell your friends to hop on board. Change starts in the smallest of places so lets all work together and make a difference! Make sure to share this video all around to help support people in need! This past Sunday, September 25, 2011, the world lost an amazing advocate for peace when Wangari Maathai died during treatment of her Ovarian cancer in Nairobi. Wangari worked tirelessly to help spread both economic prosperity and environmental awareness and change across Africa. Wangari was born in Kenya and studied there until her college years, from which she was sponsored by a committee of John F. Kennedy to represent Africa and travel to America to attended Higher Education in America. During her studies Wangari focused on Biology and German and during her time witnessed the first hand effects of Environmental Restoration in Pittsburgh. She pursued her education to a Masters Degree in Biology. Wangari was soon promised a job at a Univeristy in Kenya and when she traveled back to claim the job the offer had been withdrawn. Wangari believed that this was because of her gender and tribal bias. After a few months Wangari found herself work in Germany as an assistant researcher of microanatomy at the University College of Nairobi. Here she met her future husband and continued her studies to become the East African to obtain a PhD in Anatomy. After her extensive Education Wangari sought out a political life and fought for equal rights rights for women working at her university. She began to fight and advocate for democracy in Kenya as well as pursuing official office. However even without actual government holding she worked to make Kenya an equal and thriving democracy.She finally achieved her position and fought hard in parliament before not being re-elected. However even after her loss she continued to serve as an Assistant Minister for Environmental and Natural resources under Mwai Kibaki until her removal for her radical policies. In 2004 Wangari became the first African to obtain the Nobel Peace Prize for, “her contribution to sustainable development, democracy and peace.” What contributed the most to her award was most probably her work in Green Belt, an organization which under Wangari helped higher women to plant trees across Africa for meager wages. This idea grew into creating tree nurseries and gained international attention. Wangari soon found herself escorting delegates and international figures to her work to raise awareness for her cause. While there isn’t much that hasn’t been said about this incredible woman yet I believe it’s worth saying that there aren’t many women as bold, brave, intelligent, or cunning as Wangari Maathai. Her work helped define and grow a region and her impact will always be remembered. I ask that we all take some time out to look over her work, which can be summed up (if possible) in her extensive wikipedia page. Let your friends know and pass this around. Although her death is an unfortunate thing I believe her legacy should inspire everyone, including those here at Peace Train, around the world to do something positive and daring in our communities. Imagine Peace Fest 2011 Update! This will be the first of our bi-weekly posts to clue you guys in on what Peace Train is doing for Imagine Peace Fest 2011. First things first, if you haven’t heard of imagine peace fest it’s a yearly drive to help raise funds for NPO’s that do charitable work across the world. We’re taking part this year with several events live in Second Life and some live events at Old Dominion University in Norfolk, Virginia! This week I’d like to give you guys a little look into how we’re putting this together to make this a great and inspiring event for everyone included. Gregory and myself are each in the process of putting on two shows, both spoken word, to help raise awareness on campus and spread the word about Imagine Peace Fest and the plight of the charities which we’re supporting. Welcome to Tim and Greg! We are very excited and thankful to have secured two internships through Old Dominion University in Norfolk, Virginia – US. It’s actually an interesting indicator of the level of attention new technologies – virtual worlds and social media – are getting from academic institutions. In a few days, Tim and Greg, two students at ODU, will begin their work to help expand awareness of IMAGINE PeaceFest. Thanks in advance, guys! And thank you very much to Nakia, Tom and team at ODU for making this possible for us and of course for the organizations we are supporting this year. I’ve posted also about our planning on the Nordic Virtual Worlds Network blog. I have the good fortune of knowing a number of the people involved in that interesting work, and have shared the planning for our upcoming event with them – as they are interested in the innovative uses of virtual worlds technologies. On Wednesday April 27th, we’ll be speaking with Sandra Bérard of the Rural Economic and Agriculture Development Agency (READA). learn sustainable farming methods, and address the ongoing issues affecting our fellow humans there – after 30 years of civil war. I’m sure you will enjoy hearing from Sandra, and if you are able to join in Second Life, please do submit your questions for me (Cotton Thorne) to ask during the interview. Peace Train would also like to thank Zachh Cale for volunteering his time and talents! Zachh will be entertaining us with live music just before the talk with Sandra begins. I personally think he has a bit of Bob Dylan in his style, but will leave that assessment to you! What you need to attend: the Second Life software and your computer sound turned on. We’ll be meeting in the Garden For Change, a fantastic site in Second Life. The specific landing point for the concert and interview is at this SL URL (which will open a window to let you teleport to the destination in Second Life). We are awakening after a long winter. At Peace Train, we have been resting from PeaceFest 2010 (read the posts below, or archives to learn more about that!) and have quietly been repositioning ourselves for greater impact in 2011. First, I can’t leave the post alone without mentioning the incredible duress our friends, families, Peace Train volunteers, and others are undergoing in Japan. Our hearts have been with you, and will continue to be so. For links to sites to donate and help, I have provided some of that below, thanks to the good work of Siri Vita. We are living in a time of incredible change. One might call this the year of revolutions. As the earth spins and plates shift creating incredible earthquakes off the coast of Japan, so has the citizenry of a number of countries in North Africa and the Middle East shifted, dug in, and exploded in an eruption of voices for freedom. We are in the throes of it with Japan as I write this – the near-term impact will be known in the coming days as nuclear fuel rods react, damage is assessed, bodies are recovered. The longer-term impact awaits us like a bad report card we know we’re going to get. The chickens are coming home to roost, as we might say, in Bahrain, Egypt, Tunisia, and the other countries inspired by those who have dared to speak the truth. For Peace Train, we will stay connected on these and other efforts around the world to bring peace. As I think of it, peace is a goal we continually strive for in response to the trials of the day. As we move towards November, we will do our work to identify a few organizations that are doing incredible things to advance peace, and will be stoking the fires of goodwill across our network to organize for PeaceFest 2011! Watch this for news on PeaceFest developments. Consider giving to the organizations below now. Enjoy the season where you are. Be at peace. Donors can contribute to the relief efforts by calling 800-733-27677 or visiting http://www.redcross.org Each text message is a $10 donation to the Red Cross, which will be added to the donors’ next cellphone bill. Very convenient.